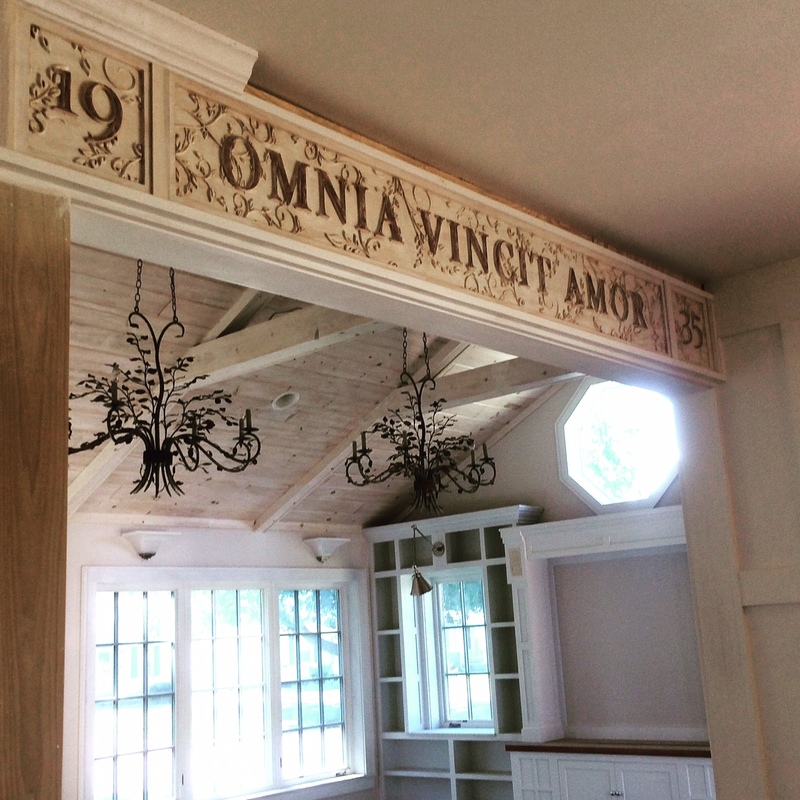 This entry was posted in Sunroom and tagged diy home renovation, Kitchen renovation, Life is good, Love Conquers All, Poetry, Virgil by curt. Bookmark the permalink. Looking better all the time Curt. Thanks, Gill! Sometimes I feel like bumpy old lime plaster. Wishing you other half all the best in your requests. Thanks Lauren, you are always so kind. Now if I can get the rest of this place done. It takes an artisan from Yelm to make a sign that beautiful! 🙂 It really is gorgeous and looks so right with the room beyond. Really nice, Curt!! Thanks D’Arcy, and thanks for having an artsy fartsy community that could make this thing. Anyways, we do remodeling in Los Angeles, trying to build a community. Check us out! Thanks for the kind words. All the best in your renovations. I love this!! I did a stained glass with my family motto, “Veritas Vincit” but I may have to incorporate this phrase somewhere too! Gorgeous work! This is my project link if you’re interested. Thanks so much! You are talented, that’s for sure! Love the stained glass window!